SKU: N/A. Categories: Clothing, Flirtini Print, Sleepwear. Tags: capri, cotton, pajama, print, ruffle. Inspired by bloomers, these Capri pants are comfy in the seat, while still fitted at the waist and hip. Lots of fun details: button fly, side seam pockets. 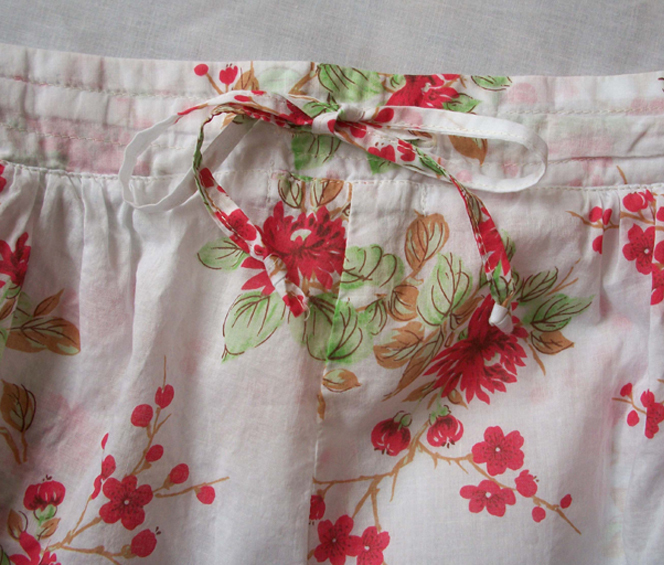 Back waistband has a drawstring for an adjustable waist. 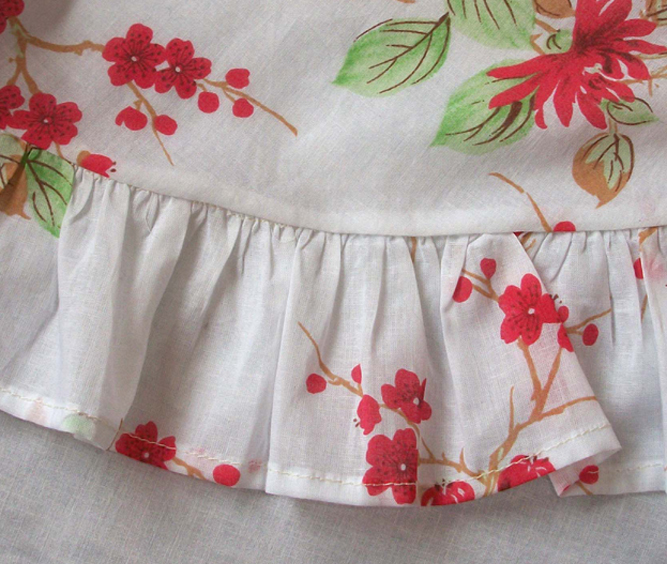 A sweet ruffle finishes the hem. These get softer every time you wash them! 100% Cotton. Machine wash cold, tumble dry low. Iron warm if desired.